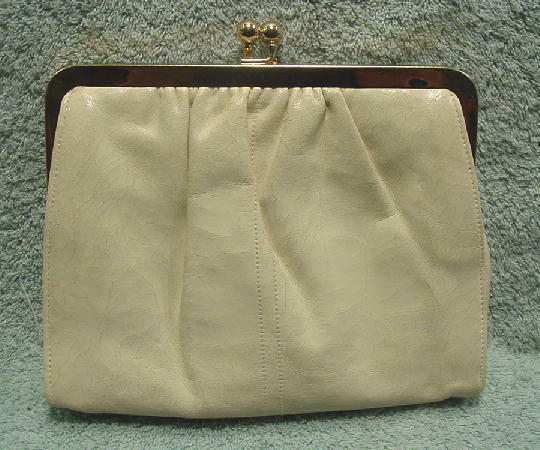 This vintage bone color leather purse was made in the USA by Shirl Miller Ltd. 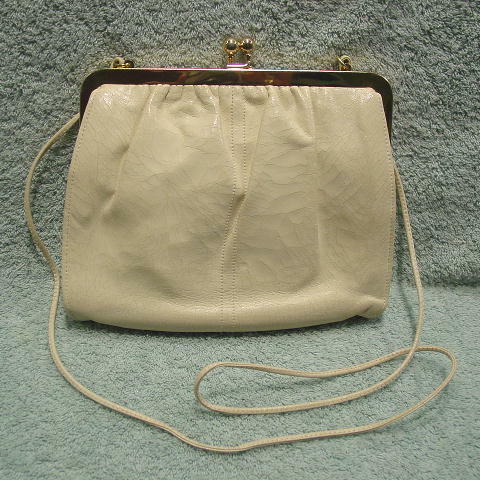 The thin shoulder strap (47" long by 1/8" wide) can also be tucked inside so the purse can be carried as a clutch. The surface has a crackled line design. There is a bright gold-tone rim and bypass closure. The lining is in a grosgrain champagne-cocoa color. 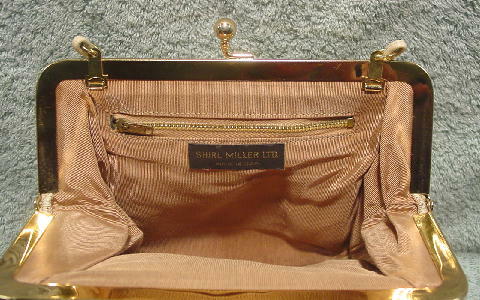 It has an interior zippered pocket lined in brown fabric. It can also be worn into the evening.